Some dancers love ballet right from the very first plie. As a four year old at a little school in Buenos Aires, Argentina, Erica Cornejo was one of them. Today she is a Principal Dancer at the Boston Ballet and an internationally renowned ballerina, commanding a repertoire that ranges from Petipa to Graham to Bournonville to Taylor to Balanchine to Tharp to Nissinen to Wheeldon. At age nine, Erica was accepted into the school of the Ballet del Teatro Colon; she became an apprentice to the company five years later and a full company member soon thereafter. Seven years later, she joined Julio Bocca’s company, and toured the world dancing everything from Balanchine to classical excerpts to tangos. Her great influences during the Bocca years were ballet mistress Lidia Segni, along with Raul Candal and Vasily Tupin, teachers and principal dancers who emphasized Russian technique. 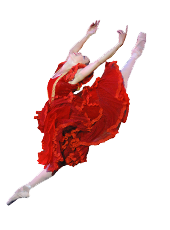 In 1998, Erica came to New York to dance at the Metropolitan Opera House at a special celebration of Argentina. Even then-President Clinton was in the audience. The following week she auditioned for American Ballet Theatre and won a contract with the Studio Company; a mere four months later, she joined the senior company. The first spring season at the Metropolitan Opera House was grueling, as it is for all corps members, because they must dance in almost every piece. For Erica, there was the added challenge of adjusting to working in such a big company, of living far from home, and of learning English. It was all made easier by the presence of her brother, fellow company member, and frequent partner, Herman, now a Principal Dancer. By the following spring, she had been singled out and chosen for soloist roles in La Bayadere, Swan Lake, Romeo and Juliet, and Paul Taylor’s Airs. Success built upon success; over subsequent seasons she was cast in works by Neumeier, Graham, Tippet, and Tharp. 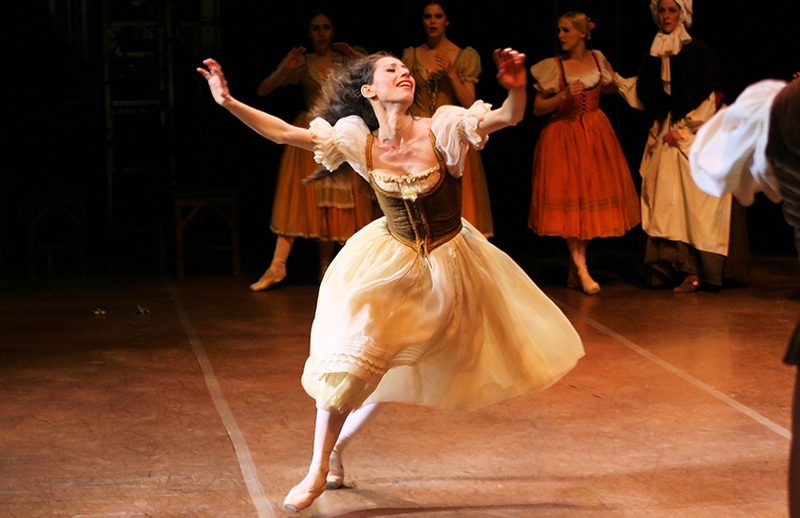 She danced the spitfire role of the Gypsy in Don Quixote, an expressive leading part in Taylor’s Depression-era piece, Black Tuesday, a principal role in Mark Morris’ Asiatically evocativeGong, the premiere of Kirk Peterson’s Amazed in Burning Dreams, and the Autumn variation in Cinderella. And on opening night of the 2001 City Center season, her coquettish, sparkling allegro brought down the house in Eliot Feld’s Variations on America, danced with Angel Corella. Later that season, she displayed her versatility as an actress and comedienne in Agnes de Mille’sRodeo. Erica discovered Gaynor Minden at ABT and switched to them because she likes the comfort and stability both en pointe and working flat. She also appreciates not having to break them in or soften them before dancing. Now comfortable and at home in America, Erica appreciates the quality of life that American dancers have compared to their counterparts in Argentina where there are shortages of shoes and make-up, few good theatres or nice dressing rooms. She does miss her native food, and when she is at home likes to cook vegetarian dishes or bake, especially dessert.